The experts go out of their way to claim that the events in the video are authentic, which suggests that they have completely missed the point of the initial Sri Lankan government reaction. Mr Alston brought a video to our attention and we claimed that this video had been tampered with. This was initially denied, but now it has been granted that not only was the video edited, but that the events it depicts were transposed. None of this was admitted earlier, which surely suggests that there should be further investigation of those who supplied the video before it can be so conclusively asserted that a prima facie case has been established. 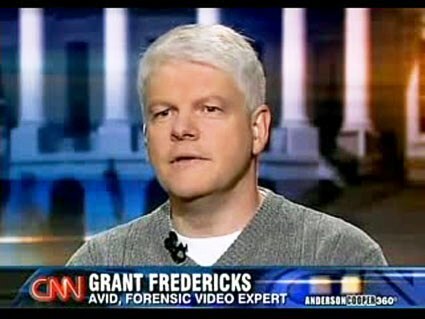 Even more astonishingly, both forensic video analysts declare that the final segment of the video had little connection with the first four segments. Spivack says quite baldly that ‘the final segment appears to have been recorded at another location based on differences in natural/geographical features’ while Fredericks thinks that the lack of wind sounds merely suggests that ‘that this segment was recorded on a different day, or in a different area, than were Segments #1 through #4.’ Earlier he had simply said that ‘Segment 5 is dissimilar to the other segments in that the ground appears less saturated and none of the victims are visible in the other four segments. Also, none of the killings are actually contained in the recording. It is likely that this segment was recorded to the same device, but at a different time than were segments 1 through 4,’ apparently disagreeing with Spivack that the location was different. Why the whole bunch believes we should engage in a witch hunt on the basis of such a doctored video defeats me. Certainly I can see that what is depicted in the video is horrendous, but since we are now clearly dealing, not with Alston’s putative traumatized victim, but someone who has edited and added to a video in a manner that compounds confusion, surely we are entitled to ask those who supplied the video, those who showed the video, and those who are now getting ready to dance on the grave of the Sri Lankan army, to at least find out a bit more about the whole business? And while we can quite understand that this bunch do not wish to name names to us – since I suspect the provenance, if ‘Journalists for Democracy’ is anything to go by, includes people who will do anything for pecuniary gain, and they cannot risk us pointing this out – surely they can do a bit more investigation themselves to iron out anomalies before pronouncing so categorically? I should add that, just as one of this bunch suggested last time that the July date was a deliberate attempt to mislead, I will not be surprised if we are told that perhaps the transposing of the sequence was yet another deliberate attempt to deceive. I say hasty because in fact the difference in dress does not need explanation, if we are prepared to believe that this particular group of individuals were determined to have souvenirs of their actions. Indeed, even if the shirts had not been different, it would have been obvious that multiple recordings were being produced, since obviously the video we see could not have been produced by the phone in the hand of a man featuring in that video. So, as with Sherlock Holmes’ dog that did not bark in the night, I believe we should wonder for a moment why Mr Fredericks was so quick to offer a redundant explanation for something that should not be problematic for those who accept his narration. I suspect I have said enough to show that, whatever we think of the video, the independent experts Alston and Heyns are certainly not the real thing. But perhaps I should note a couple of other points which have been suggested to me, though I should add that I am not an expert in the field. I am assured however that all mobile phones at 2009 and even now have digital zoom and not optical. Optical zoom is available only in video cameras. I cannot of course vouch for this, but I am sure the matter can be checked on easily. If the information is correct, it would suggest either that Mr Fredericks is not professionally competent or that he is serving another agenda.